The PDF format is one of the most universally used file formats globally, and the number of PDF users increases every day. From government offices to business managers, everybody has a use for PDFs. Of course, there is also the form filling function of PDF documents which has grown in popularity as well, with the use of electronic forms rising drastically. For every type of mobile device, there is a PDF form filler App available, and some are even free. Luckily, many of the free PDF form filler apps in this review are of exceptional quality. TinyPDF is a very well designed free PDF form filling app that offers many functions, which makes it very valuable for a wide range of people. 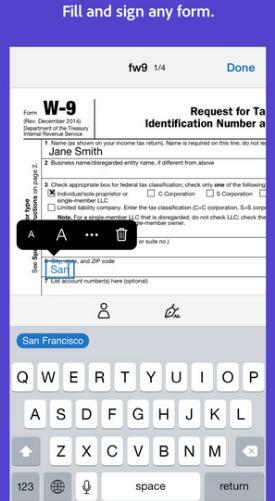 Available for iOS devices, TinyPDF is a PDF forms app that can be used to fill out PDF forms, highlight and underline text in PDF documents, add new text, create notes, and add signatures. The program also offers tabbed reading, full-text search, and the ability to protect your documents using passwords. There is access to file sharing functions like Dropbox, Google Drive, and AirPrint available, as well as the ability to email a PDF directly with all its annotations. 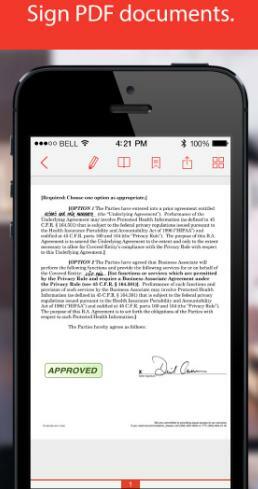 TinyPDF requires iOS 8.0 or later and is compatible with the iPad, the iPhone and the iPod touch. Adobe Fill & Sign is a lovely form filler software for Android phones that can be used for a variety of purposes including scanning files with the built-in camera and then edit it as a PDF document. You can even sign and email it after editing. Adobe Fill & Sign is more than a simple form filler app. It can be used to open files from an email, and can import or export files to your cloud storage provider, in addition to allowing you to fill out forms more quickly, this app is available both on Android 5.0 and later and on iPhone, iPad and iPod Touch with iOS 8.1 and later. 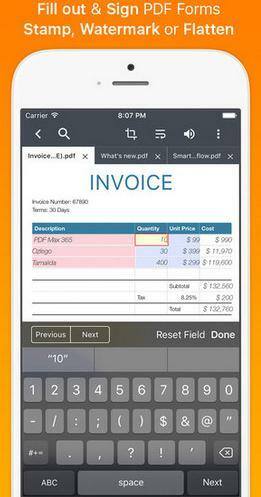 Smart Forms is another free PDF forms app for filling out PDF forms. It is available only for iOS devices and works on iPhones and iPads from iOS 8.0 upwards. Smart Forms is not just an app to fill out pdf forms, but can also be used to store and retrieve documents from the cloud. 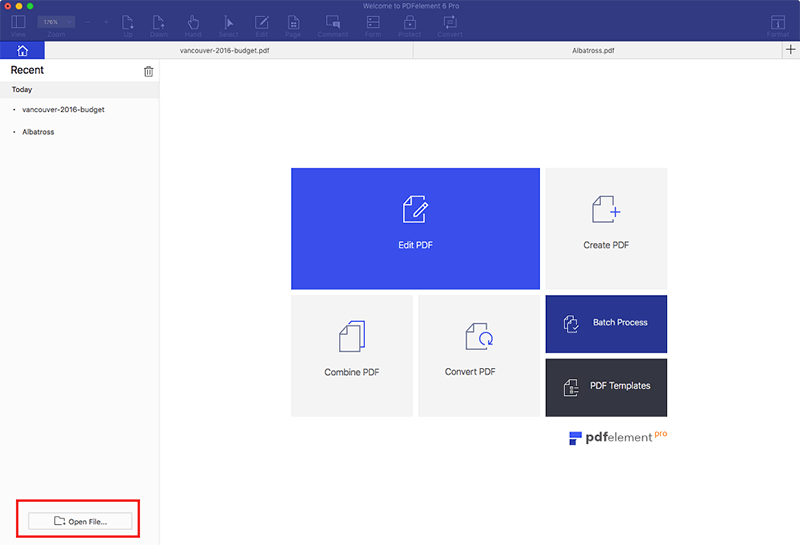 It can capture data from any PDF file, and create your own templates for future use. As well, it lets you manage your signatures. The app is totally free but it does place an advertisement on each exported PDF page. Lastly, the best Android PDF form filler in this list is MuPDF. 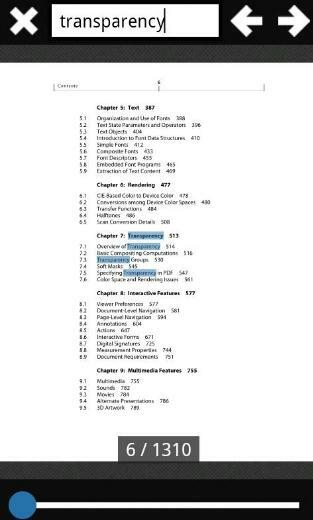 This light-weight, open source PDF/XPS/EPUB/CBZ viewer for Android and Apple iOS devices supports text search, form-filling and text markups. MuPDF also supports text-extraction and signatures. Although it’s a very small program, it is a helpful PDF forms app that feels complete, smooth, and easy to use. To fill out a PDF form or create a fillable PDF form, you need a smart PDF Form Editor. We highly recommend you use PDFelement ProPDFelement Pro. With the help of this PDF Form Filler, you can fill out interactive or non-interactive PDF forms, or create a PDF form from scratch, depending on your needs. 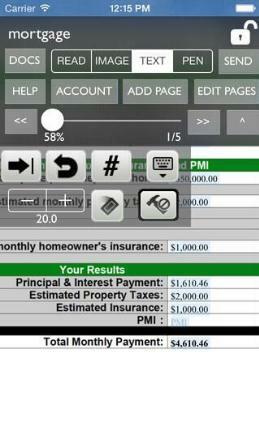 It allows you to fill out your PDF forms, create a fillable PDF form and extract data from PDF forms. The advanced OCR feature helps you to edit and convert scanned PDF and extract data from scanned PDF. With this tool, you can edit, add, modify and delete texts, graphics and images in PDF forms with ease. You are able to convert your PDFs in Word, Excel, Images, EPUB and other Formats, and batch convert multiple PDF files.